This Concrete Mixer is ideally suited to owner builders and rental companies. The mixer has a ring gear cover and enclosed engine cabin to ensure operator safety. 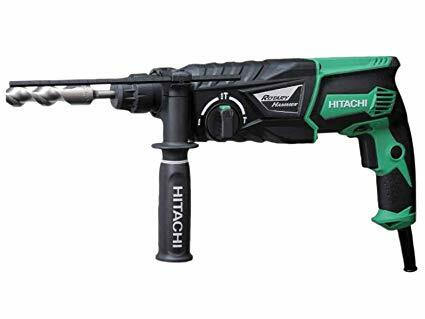 Hitachi’s H60MEY SDS Max AC Brushless Demo Hammer is exactly what construction professionals have been looking for to complete the most demanding demo jobs with ease. Never before has such a powerful sander been so refined. The Rotex RO 150 changes effortlessly from coarse sanding, fine sanding, to polishing. Changing pads is simple, requiring no extra tools. 720 watts of power means the RO 150 can take on any job. Don't be stuck without power - gear up with the Gentech Generator! Greater output power, increased performance, higher overload durability, more compact size and a lighter weight. Heavy duty breaking and drilling of rock and concrete, etc.